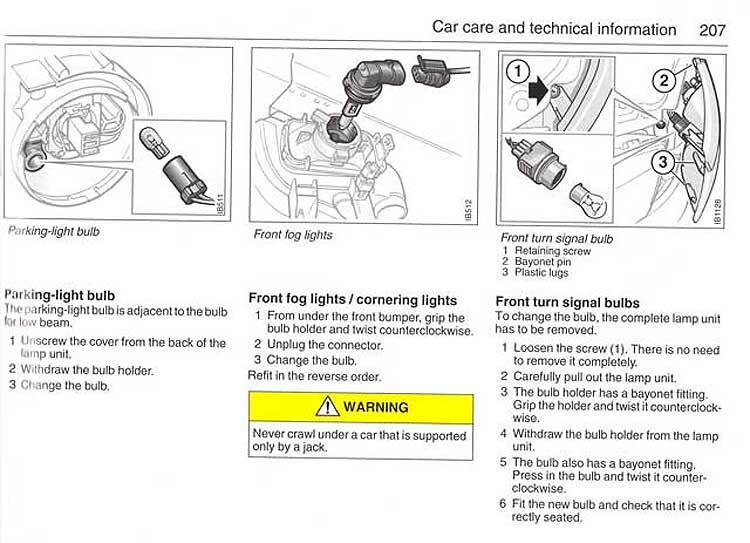 Some of these bulbs can be bought online and others must be bought at the dealer. Click on the component to jump to the replacement section. 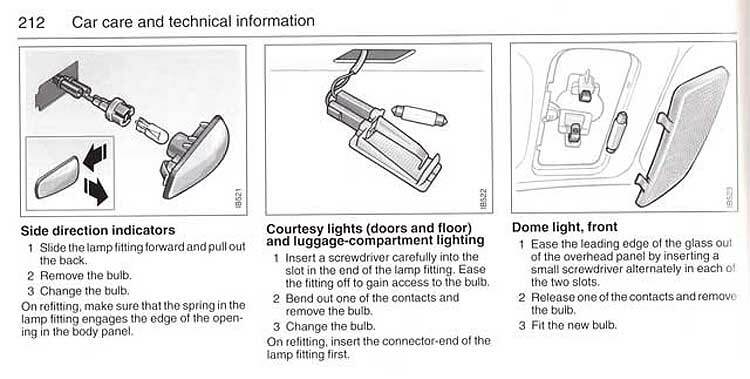 These sections will go through how to replace the bulbs in the front of the car. 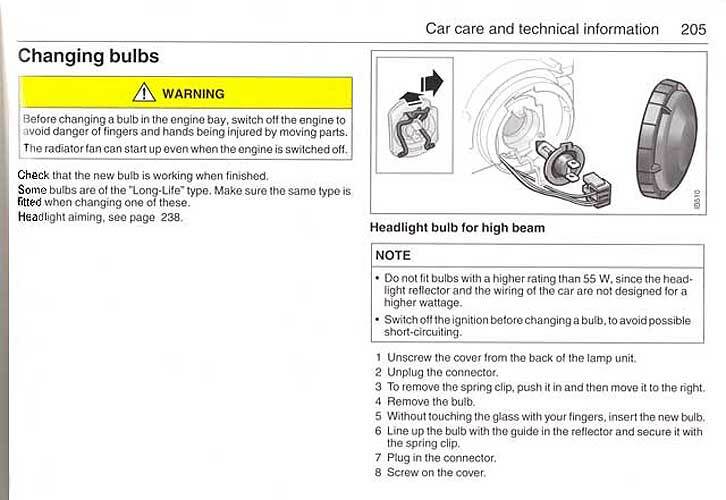 I do not go into the HID Xeon headlights since my car does not have these lights.